REDUCE BRAIN FOG – If you feel like you’ve been living with a fog inside your head that’s been clouding up your thinking, and making it hard to concentrate, you might be suffering from a thyroid malfunction, or hypothyroidism. Taking a support thyroid supplement with L-Tyrosine can take away the lack of energy, and the mental fog from your daily life, making you all the more productive and able to focus! INCREASE METABOLISM AND LOSE WEIGHT – If you have hypothyroidism with high cortisol levels, that can make it easier to gain weight, and much harder to get it off. The ingredients included can help our thyroid function return to normal, boosting your metabolism and helping you lose that weight! GET YOUR ENERGY BACK – Supporting your thyroid can help your immune system recover, balance out your thyroid hormone levels, and give you back a healthy metabolism. Ashwagandha, Schizandra and other ingredients can help restore energy levels, your ability to concentrate, and your overall sense of well-being. COMPLETE NUTRITION | Our pharmaceutical grade thyroid supplement contains 14 essential vitamins, amino acids, minerals, herbal extracts and plant-based nutraceuticals. People often buy these ingredients separately for their distinct, clinically proven health benefits. 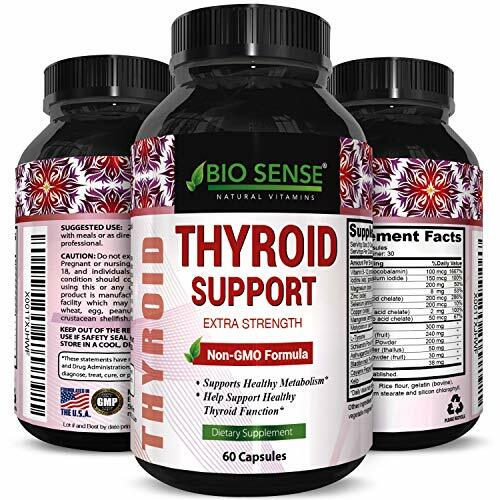 Our synergistic blend includes B-12, Schizandra, Forskolin, Kelp, Ashwagandha, Iodine, Zinc, Selenium and more making it one of the most popular ‘ thyroid helper ‘ nutrition supplements out there. COMPREHENSIVE & PROVEN HEALTH BENEFITS | We developed BE ACTIVE using clinical research, studies and the latest science in glandular nutrition, thyroid health and adrenal function. Whether you have an under-active thyroid, over-active thyroid (hyper-active) or just want to improve overall wellness you’ve come to the right place! Settling for anything but the best for you, your body and long-term health can do more harm than good. ENERGY, METABOLISM, WEIGHT LOSS RESULTS | Our BE ACTIVE helps people who have experienced thyroid issues to manage weight loss, increase energy levels, reduce fatigue, boost metabolism, support brain function, elevate mood & improve fitness. Unlike other thyroid supplements, medicines, pills or multivitamins, we use 100% naturally sourced organic kelp, ashwagandha, forskolin, schizandra & molybdenum with essential vitamins and minerals plus amino acids to deliver clinically proven results. 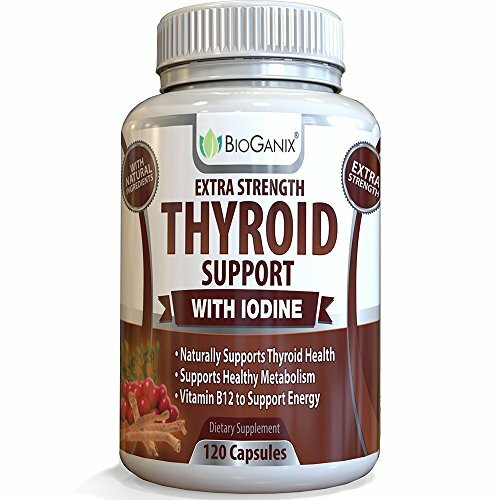 INCREASE HEALTHY THYROID FUNCTION – BioGanix’s extra strength proprietary blend of raw herbs and vitamins, including Bladderwrack and Schisandra Powder, is specially formulated to be a natural aid for healthy thyroid function and a strong immune system. As a result, you’ll notice lots of energy, way less fatigue, no more hot flashes, less hair loss, hydrated skin, weight control, better focus and sleep, nails growing, and more! MUCH MORE ENERGY! 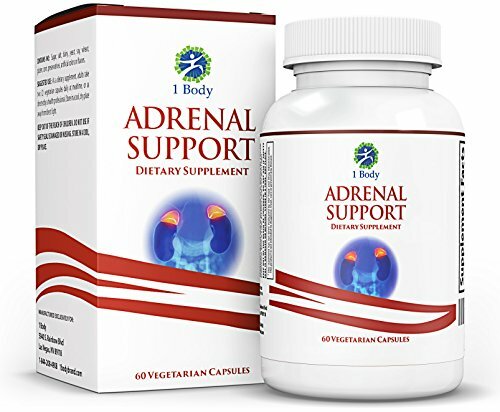 – Our unique formula contains Vitamin B12 and other ingredients that support energy levels & concentration for a sense of overall well-being & enhanced mood. If you are constantly struggling with fatigue, this is the supplement for you. 120 capsules per bottle, 2 capsules per serving, 60 servings. THICKER HAIR, STRONGER NAILS AND HEALTHIER SKIN – Significantly reduce hair loss, improve your nails and smooth your skin with our formula. We know how frustrating it feels and we want to help you recover your youthful radiance, beauty and health. 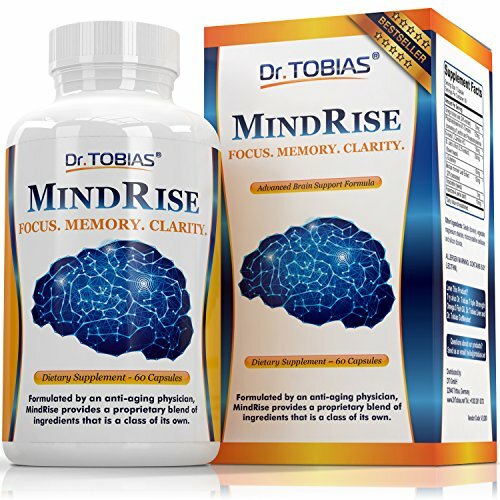 Dr. Tobias Mindrise Focus Clarity Memory Supplement for Brain Function Support. Smart Formula. 2 Months Supply (60 Capsules) For Men and Women. With Bacopa Monnieri, Ginkgo Biloba & More. 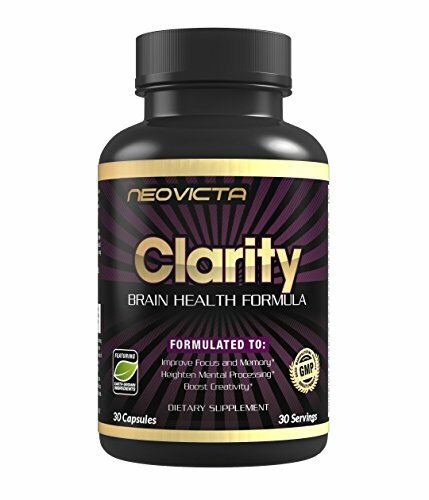 FOCUS, MEMORY, CLARITY SUPPLEMENT. FORMULATED BY ANTI-AGING SPECIALIST – thoughtfully crafted to support the brain, focus, memory and clarity. For a complete list and explanation of each ingredient, please read under the “Product Description” heading below. MINDRISE IS A NOOTROPICS – which basically means smart supplement. Give your nerves, neurons and brain cells the smartest support possible. THE FREEDOM OF TAKING JUST ONE. One capsule a day is enough – this is how supercharged with nutrients MindRise is. 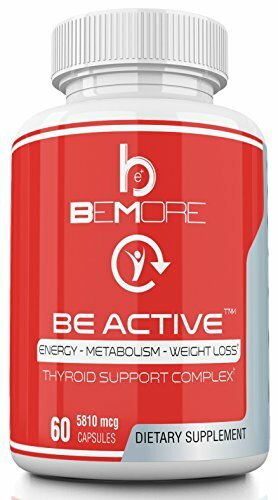 PREMIUM METABOLISM FORMULA: Our thyroid support complex is made to help your thyroid, this is essential to a healthy metabolism. Experience more energy, more focus, and higher metabolism. FEEL LIKE YOURSELF AGAIN – Wake up rested & energized. No more morning mental fog, no more afternoon crash, no more late sleepless nights. Give yourself what you need to get back on to your normal routine, sleeping well, eating well, feeling energized and rested everyday. Stop feeling like you’re sick and tired. 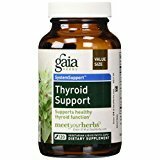 SUPERIOR SUPPORT – Our Thyroid complex is a powerfully formula to support thyroid function and overall health. 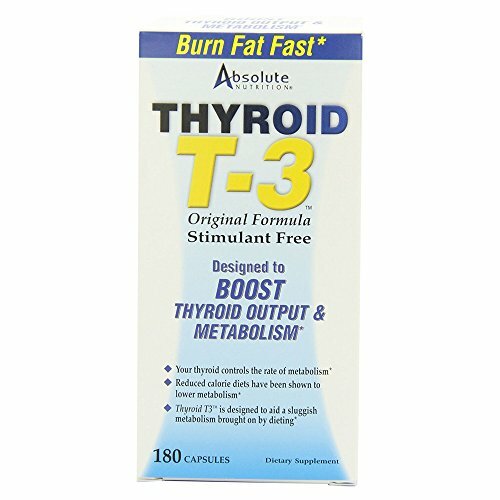 It regulate thyroid function to support a healthy hormonal balance, promote healthy metabolism to aid in digestion and increases energy levels. This supplement not only contains vital vitamins like B12, but also natural minerals and herbs like Ashwagandha Root, Bladderwrack, Cayenne Pepper Iodine, Magnesium, Zinc. 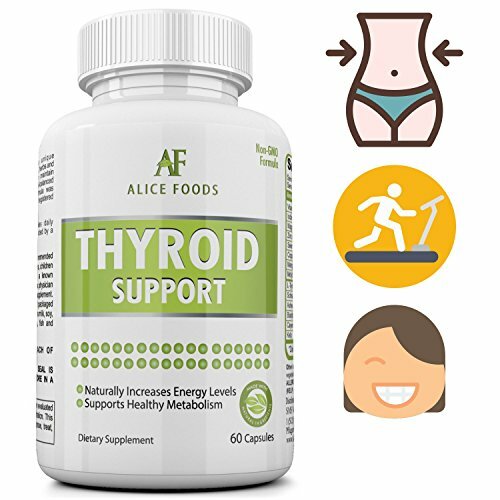 POTENT, NATURAL INGREDIENTS – Unlike other Thyroid supplements available in the market, Alice Foods Thyroid support supplement contains more of natural vitamins, minerals, and herbs. 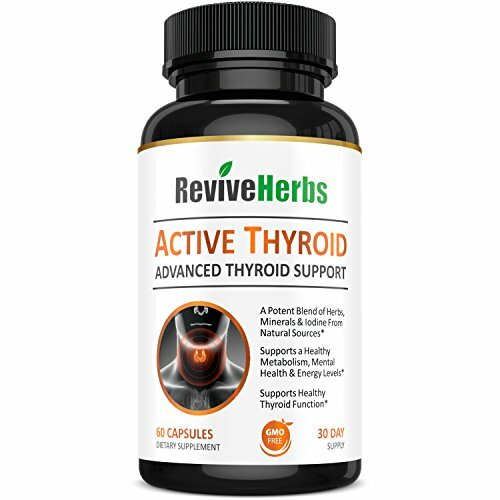 The Premium Natural ingredients like Ashwagandha Root, Bladderwrack, Iodine(Kelp), L-Tyrosine, Cayenne Pepper and Vitamin B12 supports healthy thyroid function and, more importantly, these are safe and effective. BOOST ENERGY LEVEL – One of the major symptoms of poor thyroid function is Chronic fatigue and lack of energy. These symptoms affect your complete lifestyle. 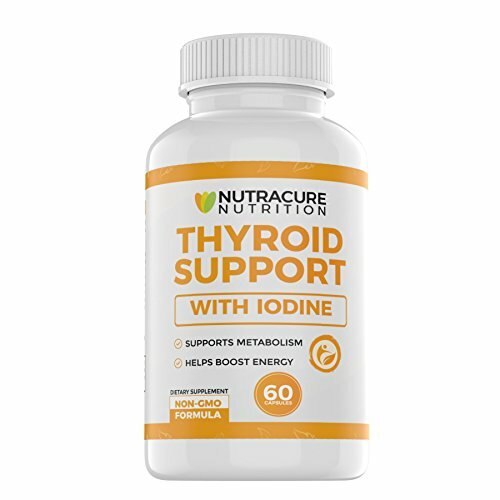 Our Natural Thyroid support help to maintain a healthy thyroid hormone balance that allows your body to operate efficiently at good energy levels. It is a natural and effective way to boost energy. 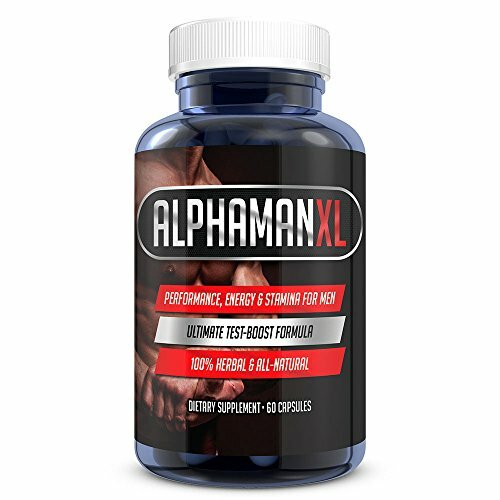 You will see noticeable improvements in energy level within few days of recommended use.